For other uses, see 2017–18 Premier League (disambiguation). The 2017–18 Premier League was the 26th season of the Premier League, the top English professional league for association football clubs, since its establishment in 1992. The season started on 11 August 2017 and concluded on 13 May 2018. Fixtures for the 2017–18 season were announced on 14 June 2017. Chelsea were the defending champions, while Newcastle United, Brighton & Hove Albion and Huddersfield Town entered as the promoted teams from the 2016–17 EFL Championship. Manchester City won their third Premier League title, and fifth English top-flight title overall, with five games to spare. The team broke numerous Premier League records over the course of the season, including: most points (100), most wins (32), most away wins (16), most goals (106), most consecutive league wins (18), highest goal difference (+79), most passes in a game (903), fewest minutes behind in matches (153 minutes) and biggest winning points margin (19). All three promoted clubs avoided relegation for the first time since the 2011–12 campaign, and for only the third time in Premier League history. From this season on, club strips can feature sleeve sponsorship, whereby sponsors' logos will appear on the left sleeve of the strip in lieu of the Premier League patch. From this season on, a three-man panel consisting of a former player, a former manager and a former match official will independently review video evidence on the Monday after games. Any player whom the three-man panel unanimously decide has caused an opponent to be sent off or has won a penalty as a result of deceiving the referee by simulation will be charged by the Football Association with "Successful Deception of a Match Official" which carries a penalty of suspension for two matches. Everton striker Oumar Niasse became the first Premier League player to be punished under the new rule. Manchester City were confirmed as Premier League champions following Manchester United's 0–1 defeat at home to West Bromwich Albion in the 33rd round. Manchester City had started the Premier League season with an away win over Brighton & Hove Albion in August. After a draw against Everton, Manchester City won eighteen games in a row. During this time they secured first position and held it for the remainder of the season. On 7 April, Manchester City lost to Manchester United in the local derby, in which a win would have secured their position as champions. The following week, Manchester United lost to bottom club West Bromwich Albion, and Manchester City defeated Tottenham. These results ensured Manchester City held an unassailable lead with five games left. Defending champions Chelsea started the season badly, losing their opening game to Burnley 2–3; the first time the holders were defeated at home in their first match. A win at one of the title favourites, Tottenham, in their second game seemed to get their defence back on track, but results in September, including losing 0–1 to Manchester City, left them six points behind the leaders in fourth place. They failed to show the consistency of the previous season, and finished in fifth place. Manchester United started the season strongly winning their first three games without conceding a goal and led the table until mid-September. However, following convincing wins against Liverpool (5–0), Watford (6–0) and Crystal Palace (5–0), Manchester City went top of the league in September and remained there for the rest of the season. 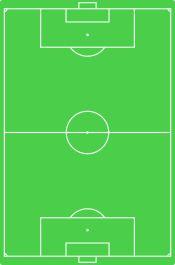 During the campaign Manchester City broke and set several new club and English football records. They established national records in consecutive away (11) and overall (20) victories in all competitions; set a new English record for consecutive league wins (18); equalled the Premier League record for consecutive away league wins (11) and set club records by achieving 28 consecutive games unbeaten in all competitions; 30 consecutive games unbeaten in the league; 20 consecutive home wins in all competitions; and winning 14 away games in a season. They won their fifth English league title, and completed their second league and League Cup double in four years. Arsenal had a poor season, finishing sixth overall. Long-serving manager Arsène Wenger announced his departure from the club on 20 April 2018. Their final home game was an emphatic 5–0 defeat of Burnley which guaranteed qualification to the group stage of the Europa League. Despite the defeat, Burnley finished in seventh place, their best finish in English football since 1973–74. This meant they would be entered into the second qualifying round of the Europa League, their first competitive European football campaign in 50 years. Their strong finish led to manager Sean Dyche and defender James Tarkowski being nominated for the Premier League Manager of the Season and Premier League Player of the Season awards respectively. Stoke City were the first team to be relegated to the EFL Championship when they lost 1–2 to Crystal Palace in their penultimate game. Although Stoke were only three points from safety with one game remaining, fellow strugglers Swansea and Southampton still had to play each other, meaning that Stoke would be unable to catch both of those teams and finish fourth from bottom. The game between Swansea and Southampton ended in a 1–0 away win for Southampton, which also meant that despite a five game unbeaten run, West Bromwich Albion became the second team to be relegated to the Championship on 8 May 2018. Following their 1–2 defeat at the hands of Stoke on the final matchday, Swansea City were also relegated. Twenty teams competed in the league – the top seventeen teams from the previous season and the three teams promoted from the Championship. The promoted teams were Newcastle United, Brighton & Hove Albion and Huddersfield Town. Newcastle United returned after a season's absence while Brighton & Hove Albion and Huddersfield Town competed in the Premier League for the first time ever and top flight football for the first time in thirty-four and forty-five years respectively. They replaced Hull City, Middlesbrough (both teams relegated after a season's presence) and Sunderland (after ten years in the top flight). 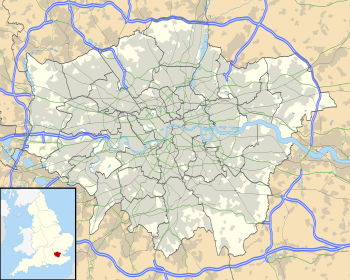 ^ Tottenham Hotspur played at Wembley due to the rebuilding of their own stadium at White Hart Lane. 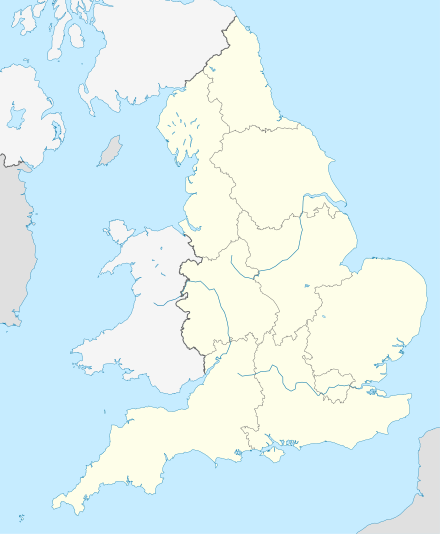 ^ a b Since the winners of the 2017–18 FA Cup (Chelsea) and the winners of the 2017–18 EFL Cup (Manchester City) both qualified for European competition based on their league positions, the berths awarded to the 5th-placed team (Europa League group stage) and the League Cup winners (Europa League second qualifying round) were passed down the league. ^ a b "Statistical Leaders – 2017". Premier League. Archived from the original on 6 March 2017. Retrieved 13 May 2018. ^ a b c d "English Premier League Statistics". ESPN. Archived from the original on 12 May 2018. Retrieved 13 May 2018. ^ "Premier League fixtures: Your club-by-club guide to the 2017–18 season". BBC Sport. 14 June 2017. Archived from the original on 15 June 2017. Retrieved 14 June 2017. ^ "Man City win Premier League as Man Utd lose to West Brom". BBC Sport. 15 April 2018. Archived from the original on 15 April 2018. Retrieved 15 April 2018. ^ "Which records have Manchester City broken?". Premier League. 16 May 2018. Archived from the original on 14 May 2018. Retrieved 16 May 2018. ^ "Premier League stats: Man City, Aguero, Cardiff, Tottenham, Chelsea". BBC Sport. 20 August 2018. ^ "Premier League clubs given go-ahead to sell sleeve space to sponsors – worth £10 million MORE per season". Daily Mirror. Archived from the original on 13 November 2016. Retrieved 12 November 2016. ^ "Premier League clubs set to get sponsors on their sleeves from 2017/18 season". Daily Mirror. Archived from the original on 28 February 2017. Retrieved 27 February 2017. ^ McCartney, Aidan (26 July 2017). "All you need to know about Premier League sleeve sponsors". Archived from the original on 12 August 2017. ^ "Everton to appeal against Oumar Niasse diving charge for penalty against Palace". The Guardian. 21 November 2017. Archived from the original on 1 December 2017. ^ "West Brom stun Manchester United to hand Manchester City the title". The Guardian. 15 April 2018. Archived from the original on 16 April 2018. Retrieved 17 April 2018. ^ Pollard, Rob (16 November 2017). "Club Record Confirmed By Leading Lawmakers". Manchester City. Manchester. Archived from the original on 16 November 2017. Retrieved 16 November 2017. ^ "Manchester City break Premier League record with win over Huddersfield". Metro. UK. 26 November 2017. Archived from the original on 29 November 2017. Retrieved 29 November 2017. ^ Henson, Mike (27 December 2017). "Newcastle United 0–1 Manchester City". BBC Sport. Archived from the original on 27 December 2017. Retrieved 27 December 2017. ^ "CITY SET NEW cLUB RECORD". Mancity.com. 31 March 2018. Archived from the original on 1 April 2018. Retrieved 31 March 2018. ^ "Merci Arsène". Arsenal F.C. 20 April 2018. Archived from the original on 20 April 2018. Retrieved 20 April 2018. ^ "Arsenal provide perfect farewell for Arsène Wenger with Burnley thrashing". The Guardian. Archived from the original on 6 May 2018. Retrieved 7 May 2018. ^ "The key dates for Burnley's European campaign". Lancashire Telegraph. 5 May 2018. Archived from the original on 6 May 2018. ^ Williamson, Luke (5 May 2018). "Burnley duo Dyche and Tarkowski up for Premier League awards". VAVEL.com. Archived from the original on 6 May 2018. ^ "Stoke relegated from Premiership". The Guardian. Archived from the original on 7 May 2018. Retrieved 7 May 2018. ^ "Swansea City 0–1 Southampton". BBC Sport. 8 May 2018. Archived from the original on 9 May 2018. ^ "Swansea City 1–2 Stoke City". BBC Sport. 13 May 2018. Archived from the original on 13 May 2018. ^ "Premier League Handbook Season 2016/17" (PDF). Premier League. Archived (PDF) from the original on 12 August 2016. Retrieved 18 August 2016. ^ "Premier League Handbook Season 2017/18" (PDF). Premier League. Archived (PDF) from the original on 18 February 2018. Retrieved 21 August 2017. ^ "Our new captain was the natural choice". Arsenal F.C. Archived from the original on 7 December 2016. Retrieved 28 November 2016. ^ "PUMA and Arsenal announce partnership". Arsenal FC. Archived from the original on 7 July 2015. Retrieved 23 June 2015. ^ "Arsenal football club in £150m Emirates deal". BBC News. 23 November 2012. Archived from the original on 25 September 2015. Retrieved 23 June 2015. ^ "Simon Francis named as AFC Bournemouth club captain for 2016/17 season". afcb.co.uk. Archived from the original on 5 March 2017. Retrieved 28 November 2016. ^ "AFC Bournemouth unveil Mansion Group as Premier League shirt sponsor". insideworldfootball.com. Archived from the original on 30 July 2017. Retrieved 22 June 2017. ^ "Mansion go all-in with Bournemouth adding sleeve to shirt front sponsorship". insideworldfootball.com. 30 August 2017. Archived from the original on 2 September 2017. Retrieved 1 September 2017. ^ "Brighton captain Bruno willing to give Manchester City pal David Silva a pasting in season opener". Mirror. Archived from the original on 4 October 2017. Retrieved 4 October 2017. ^ a b "New Kit Partnership with Nike". seagulls.co.uk. Archived from the original on 6 June 2014. Retrieved 3 June 2014. ^ "ALBION AGREE SLEEVE SPONSORSHIP DEAL WITH JD". seagulls.co.uk. Archived from the original on 7 September 2017. Retrieved 7 September 2017. ^ "Burnley sign new Puma kit deal". Lancashire Telegraph. Archived from the original on 25 September 2013. Retrieved 17 May 2013. ^ "Clarets Announce Dafabet Partnership". burnleyfootballclub.com. Archived from the original on 14 August 2016. Retrieved 15 June 2016. ^ "Clarets Sport Hit Mobile Game 'Golf Clash' As New Sleeve Sponsor". burnleyfootballclub.com. Archived from the original on 2 October 2017. Retrieved 2 October 2017. ^ "Captain Cahill: Delighted, proud and excited". Chelsea F.C. Archived from the original on 26 July 2017. Retrieved 26 July 2017. ^ "Chelsea and Nike announce long-term partnership". Chelsea F.C. Archived from the original on 13 October 2016. Retrieved 13 October 2016. ^ "Chelsea seal £200m shirt sponsorship deal with Yokohama Rubber". The Guardian. Archived from the original on 26 June 2015. Retrieved 23 June 2015. ^ "Alliance Tyres to appear on 2017/18 sleeves". chelseafc.com. 22 July 2017. Archived from the original on 24 July 2017. Retrieved 22 July 2017. ^ "Crystal Palace chief: Why Sam Allardyce made Jason Puncheon our captain". Daily Express. Retrieved 14 May 2017. ^ "CPFC And Macron Sign New Kit Deal". Crystal Palace FC. Archived from the original on 2 August 2017. Retrieved 23 June 2015. ^ "Palace Announce New Shirt Sponsor, ManBetX". Crystal Palace FC. Archived from the original on 1 August 2017. Retrieved 26 June 2017. ^ "Dongqiudi Announced As Official Sleeve Partner". Crystal Palace FC. Archived from the original on 18 July 2017. Retrieved 18 July 2017. ^ "Everton agree five-year deal with Umbro to supply club kits from start of next season". Daily Mail. Archived from the original on 12 May 2014. Retrieved 23 June 2015. ^ "Everton confirm SportPesa as new shirt sponsor". Liverpool Echo. Archived from the original on 18 May 2017. Retrieved 15 May 2017. ^ "Everton Sign Sleeve Deal With Games Giant Rovio Entertainment". Everton FC. Archived from the original on 19 September 2017. Retrieved 17 September 2017. ^ "Tommy Smith becomes Huddersfield Town club captain for Premier League season". Examiner. 9 August 2017. Archived from the original on 5 October 2017. Retrieved 5 October 2017. ^ "Huddersfield Town HOME KIT & TRAINING WEAR REVEALED". Archived from the original on 1 August 2017. ^ "OPE SPORTS – New Shirt Sponsor". Huddersfield Town AFC. Archived from the original on 1 August 2017. Retrieved 30 June 2017. ^ "PURE Legal: New Home Shirt Sponsor". Huddersfield Town AFC. Archived from the original on 1 August 2017. Retrieved 16 June 2017. ^ "Leicester City announce Puma Kit Deal". footballshirtculture.com. Archived from the original on 25 May 2015. Retrieved 23 June 2015. ^ "2014/15 PUMA Home Kit Now on Sale!". lcfc.com. Leicester City FC. Archived from the original on 26 December 2016. Retrieved 23 June 2015. ^ "Siam Commercial Bank To Be Leicester City Sleeve Sponsor". lcfc.com. Leicester City FC. Archived from the original on 1 August 2017. Retrieved 15 July 2017. ^ "Henderson appointed Liverpool captain". liverpoolfc.com. Liverpool FC. Archived from the original on 26 August 2015. ^ "Liverpool announce record-breaking £300m kit deal with New Balance from next season". Daily Mail. Archived from the original on 25 June 2015. Retrieved 23 June 2015. ^ "Liverpool stick with shirt sponsor Standard Chartered after penning two-year extension". Daily Mail. Archived from the original on 12 May 2014. Retrieved 23 June 2015. ^ "Western Union signs sponsorship deal with Liverpool football club". Financial Times. Archived from the original on 9 August 2017. Retrieved 9 August 2017. ^ "Manchester City captain Vincent Kompany finally concedes a goal". Daily Mail. Archived from the original on 30 September 2015. ^ Ogden, Mark (4 May 2012). "Manchester City's six-year kit deal with Nike could earn the Premier League leaders up to £12million a year". The Daily Telegraph. London. Archived from the original on 12 July 2015. Retrieved 23 June 2015. ^ Taylor, Daniel (8 July 2011). "Manchester City bank record £400m sponsorship deal with Etihad Airways". The Guardian. London. Archived from the original on 6 July 2015. Retrieved 23 June 2015. ^ Edwards, John (17 March 2017). "Man City and Nexen Tire announce Premier League first partnership". London. Archived from the original on 9 May 2017. Retrieved 17 May 2017. ^ Froggatt, Mark (11 July 2017). "Video: Carrick named United captain". Manchester United F.C. Archived from the original on 12 July 2017. Retrieved 12 July 2017. ^ "Manchester United and Adidas in £750m deal over 10 years". BBC News. Archived from the original on 11 August 2015. Retrieved 23 June 2015. ^ "Manchester United's £53m shirt deal with Chevrolet unaffected despite likely absence of Champions League". The Daily Telegraph. Archived from the original on 8 June 2015. Retrieved 23 June 2015. ^ "REVEALED: Newcastle United Officially Announce 125th Anniversary Kit Featuring New Sponsor Fun88". 15 May 2017. Archived from the original on 1 August 2017. ^ "FUN88 becomes Newcastle United shirt sponsor". Newcastle United F.C. Archived from the original on 16 May 2017. Retrieved 15 May 2017. ^ "MRF named shirt sleeve sponsor". Newcastle United F.C. Archived from the original on 8 September 2017. Retrieved 8 September 2017. ^ "Saints announce multi-year partnership with Under Armour". Southampton F.C. Archived from the original on 5 June 2016. Retrieved 14 April 2016. ^ "Virgin Media become Southampton's main club sponsor". Southampton F.C. Archived from the original on 4 August 2016. Retrieved 2 July 2016. ^ "Stoke City captain Ryan Shawcross out for at least two months as he has surgery on recurring back injury". Daily Mail. Archived from the original on 30 September 2015. ^ "Potters Strike Macron Deal". Stoke City F.C. Archived from the original on 1 June 2016. Retrieved 3 May 2016. ^ "Top Eleven in Ground Breaking Deal With Potters". Stoke City F.C. Archived from the original on 22 May 2017. Retrieved 17 May 2017. ^ "Rangel named Swans skipper". swanseacity.com. Archived from the original on 14 November 2017. Retrieved 14 November 2017. ^ "Swans sign Joma for new campaign". swanseacity.com. Retrieved 3 May 2016. ^ "Tottenham news: Spurs 'set to name Harry Kane vice-captain' – Metro News". Metro. Archived from the original on 1 October 2015. ^ "TOTTENHAM HOTSPUR ANNOUNCES MULTI-YEAR PARTNERSHIP WITH NIKE". Tottenham Hotspur F.C. Archived from the original on 3 July 2017. Retrieved 30 June 2017. ^ "AIA TO BECOME TOTTENHAM HOTSPUR'S NEW PRINCIPAL PARTNER". Tottenham Hotspur F.C. Archived from the original on 21 July 2015. Retrieved 23 June 2015. ^ Simon Burnton. "Premier League 2015–16 preview No18: Watford". The Guardian. Archived from the original on 1 August 2017. ^ "Watford Announce Adidas Deal". footyheadlines.com. Archived from the original on 8 December 2016. Retrieved 6 December 2016. ^ "West Brom captain Jonny Evans on what he makes of all that transfer speculation now". Birmingham Mail. 11 September 2017. Archived from the original on 5 October 2017. Retrieved 5 October 2017. ^ Leather, Harry. "West Brom's 2017/18 home kit unveiled". Express & Star. Archived from the original on 1 August 2017. ^ "Albion announce Palm as new Principal Sponsor". West Bromwich Albion F.C. Archived from the original on 24 May 2017. Retrieved 24 May 2017. ^ "Albion welcome 12BET as club's first shirt-sleeve sponsor". West Bromwich Albion F.C. Archived from the original on 14 August 2017. Retrieved 14 August 2017. ^ "Slaven Bilic thanks Kevin Nolan as West Ham captain leaves club – video". The Guardian. 27 August 2015. Archived from the original on 1 August 2017. ^ "West Ham re-united with Umbro". West Ham United F.C. Archived from the original on 2 May 2015. Retrieved 23 June 2015. ^ "Hammers announce Betway sponsorship". West Ham United F.C. Archived from the original on 26 June 2015. Retrieved 23 June 2015. ^ "MRF announced as West Ham United's first ever shirt sleeve sponsor". West Ham United F.C. Archived from the original on 8 September 2017. Retrieved 8 September 2017. ^ "Statement: Walter Mazzarri". Watford FC. 17 May 2017. Archived from the original on 18 May 2017. Retrieved 17 May 2017. ^ "Marco Silva: Watford appoint former Hull boss as new manager". BBC Sport. 27 May 2017. Archived from the original on 27 May 2017. Retrieved 27 May 2017. ^ "Sam Allardyce resigns as Crystal Palace manager after five months". BBC Sport. 23 May 2017. Archived from the original on 23 May 2017. Retrieved 23 May 2017. ^ "Frank de Boer Appointed Palace Boss". Crystal Palace FC. 26 June 2017. Archived from the original on 26 June 2017. Retrieved 26 June 2017. ^ "Claude Puel sacked as Southampton manager after one season in charge". The Guardian. 14 June 2017. Archived from the original on 15 June 2017. Retrieved 15 June 2017. ^ "Southampton appoint former Liverpool coach Mauricio Pellegrino as manager". The Guardian. 23 June 2017. Archived from the original on 23 June 2017. Retrieved 23 June 2017. ^ "Frank de Boer sacked after 4 matches in charge". Sky Sports. 11 September 2017. Archived from the original on 11 September 2017. Retrieved 11 September 2017. ^ "Crystal Palace: Roy Hodgson replaces Frank de Boer as manager". BBC Sport. 12 September 2017. Archived from the original on 12 September 2017. Retrieved 12 September 2017. ^ "Leicester City sack manager Craig Shakespeare after one Premier League win in eight". Archived from the original on 25 February 2018. ^ Doyle, Paul (25 October 2017). "Leicester City appoint Claude Puel as manager and call him 'perfect fit'". The Guardian. Archived from the original on 11 February 2018. ^ "Ronald Koeman: Everton sack manager after Arsenal defeat". BBC. 23 October 2017. Archived from the original on 23 October 2017. ^ "Sam Allardyce: New Everton boss signs deal until the summer of 2019". BBC Sport. 30 November 2017. Archived from the original on 30 November 2017. Retrieved 30 November 2017. ^ "Slaven Bilic: West Ham sack manager with David Moyes likely to replace him". BBC. 6 November 2017. Archived from the original on 6 November 2017. ^ "David Moyes: West Ham name manager to succeed Slaven Bilic". BBC. 7 November 2017. Archived from the original on 7 November 2017. ^ "Tony Pulis sacked by West Brom after torrid run of results". Archived from the original on 17 May 2018 – via telegraph.com. ^ "West Brom: Alan Pardew appointed manager". BBC Sport. 29 November 2017. Archived from the original on 29 November 2017. Retrieved 29 November 2017. ^ "Paul Clement: Swansea sack manager after less than a year in charge". BBC. Archived from the original on 20 December 2017. ^ "Carlos Carvalhal: Swansea City appoint ex-Sheffield Wednesday boss". 28 December 2017. Archived from the original on 28 December 2017. Retrieved 28 December 2017. ^ "Mark Hughes: Stoke City sack manager after poor run". 6 January 2018. Archived from the original on 7 January 2018. Retrieved 6 January 2018. ^ "Paul Lambert appointed Stoke manager". 15 January 2018. Archived from the original on 15 January 2018. Retrieved 15 January 2018. ^ "Marco Silva sacked by Watford as club blame 'unwarranted approach' from Everton; Javi Gracia takes over". The Daily Telegraph. Archived from the original on 18 April 2018. ^ "Official | Gracia Named Hornets' Head Coach". Watford F.C. Archived from the original on 7 March 2018. Retrieved 21 January 2018. ^ "Mauricio Pellegrino: Southampton sack manager with eight games left of season". BBC. Archived from the original on 12 March 2018. ^ "Mark Hughes: Southampton appoint former Stoke manager". BBC Sport. 14 March 2018. Archived from the original on 14 March 2018. Retrieved 14 March 2018. ^ a b "Alan Pardew: West Bromwich Albion part company with manager & Darren Moore keeps job as First Team Coach". BBC Sport. 2 April 2018. Archived from the original on 2 April 2018. Retrieved 2 April 2018. ^ "Watford 0–6 Manchester City". BBC Sport. 16 September 2017. Archived from the original on 16 September 2017. Retrieved 16 September 2017. ^ "Stoke City 0–4 Chelsea". BBC Sport. 23 September 2017. Archived from the original on 23 September 2017. Retrieved 24 September 2017. ^ "Bournemouth 4–0 Huddersfield". BBC Sport. 18 November 2017. Archived from the original on 21 November 2017. Retrieved 21 November 2017. ^ "Everton 4–0 West Ham United". BBC Sport. 29 November 2017. Archived from the original on 29 November 2017. Retrieved 29 November 2017. ^ "Burnley 0–3 Tottenham Hotspur". BBC Sport. 23 December 2017. Archived from the original on 23 December 2017. Retrieved 23 December 2017. ^ "Tottenham Hotspur 5–2 Southampton". BBC Sport. 26 December 2017. Archived from the original on 26 December 2017. Retrieved 26 December 2017. ^ "Manchester City 3–1 Newcastle United". BBC Sport. 20 January 2018. Archived from the original on 20 January 2018. Retrieved 20 January 2018. ^ "Arsenal 5–1 Everton". BBC Sport. 3 February 2018. Archived from the original on 3 February 2018. Retrieved 3 February 2018. ^ "Manchester City 5–1 Leicester City". BBC Sport. 10 February 2018. Archived from the original on 10 February 2018. Retrieved 10 February 2018. ^ "Liverpool 5–0 Watford". BBC Sport. 17 March 2018. Archived from the original on 17 March 2018. Retrieved 17 March 2018. ^ "Statistical Leaders – 2017". Premier League. Archived from the original on 24 June 2017. Retrieved 5 May 2018. ^ "Premier League Player Stats – Clean Sheets". Premier League. Archived from the original on 19 June 2017. Retrieved 13 May 2018. ^ "Players Index". Premier League. Archived from the original on 24 June 2017. Retrieved 13 May 2018. ^ "Players Index". Premier League. Archived from the original on 10 November 2017. Retrieved 13 May 2018. ^ "Club Index". Premier League. Archived from the original on 11 November 2017. Retrieved 13 May 2018. ^ "Wagner wins Barclays Manager of the Month award". Premier League. 8 September 2017. Archived from the original on 8 September 2017. Retrieved 8 September 2017. ^ "Mane earns EA SPORTS Player of the Month award". Premier League. 8 September 2017. Archived from the original on 9 September 2017. Retrieved 8 September 2017. ^ "Daniels strike voted Carling Goal of the Month". Premier League. 8 September 2017. Archived from the original on 8 September 2017. Retrieved 8 September 2017. ^ "Guardiola named Barclays Manager of the Month". Premier League. 13 October 2017. Archived from the original on 13 October 2017. Retrieved 13 October 2017. ^ "Kane wins EA Sports Player of the Month Award". Premier League. 13 October 2017. Archived from the original on 13 October 2017. Retrieved 13 October 2017. ^ "Valencia volley earns Carling Goal of the Month". Premier League. 13 October 2017. Archived from the original on 13 October 2017. Retrieved 13 October 2017. ^ "Guardiola named Barclays Manager of the Month". Premier League. 17 November 2017. Archived from the original on 17 November 2017. Retrieved 17 November 2017. ^ "Sane wins EA SPORTS Player of the Month award". Premier League. 17 November 2017. Archived from the original on 17 November 2017. Retrieved 17 November 2017. ^ "Boufal claims October Carling Goal of the Month". Premier League. 17 November 2017. Archived from the original on 17 November 2017. Retrieved 17 November 2017. ^ "Guardiola equals record Barclays awards streak". Premier League. 15 December 2017. Archived from the original on 15 December 2017. Retrieved 15 December 2017. ^ "Superb form earns Salah EA SPORTS award". Premier League. 15 December 2017. Archived from the original on 15 December 2017. Retrieved 15 December 2017. ^ "Rooney wins November Carling Goal of the Month". Premier League. 15 December 2017. Archived from the original on 15 December 2017. Retrieved 15 December 2017. ^ "Guardiola makes Barclays award history". Premier League. 12 January 2018. Archived from the original on 12 January 2018. Retrieved 12 January 2018. ^ "Kane matches Gerrard with EA SPORTS player award". Premier League. 12 January 2018. Archived from the original on 12 January 2018. Retrieved 12 January 2018. ^ "Defoe strike claims Carling Goal of the Month". Premier League. 12 January 2018. Archived from the original on 13 January 2018. Retrieved 12 January 2018. ^ "Howe claims Barclays manager award". Premier League. 16 February 2018. Archived from the original on 16 February 2018. Retrieved 16 February 2018. ^ "Aguero named EA SPORTS Player of the Month". Premier League. 16 February 2018. Archived from the original on 16 February 2018. Retrieved 16 February 2018. ^ "Willian claims January Carling Goal of the Month". Premier League. 16 February 2018. Archived from the original on 16 February 2018. Retrieved 16 February 2018. ^ "Hughton claims Barclays Manager of the Month prize". Premier League. 9 March 2018. Archived from the original on 9 March 2018. Retrieved 9 March 2018. ^ "Salah named EA SPORTS Player of the Month". Premier League. 9 March 2018. Archived from the original on 9 March 2018. Retrieved 9 March 2018. ^ "Wanyama wins February's Carling Goal of the Month". Premier League. 9 March 2018. Archived from the original on 9 March 2018. Retrieved 9 March 2018. ^ "Dyche earns first Barclays Manager of Month award". Premier League. 13 April 2018. Archived from the original on 13 April 2018. Retrieved 13 April 2018. 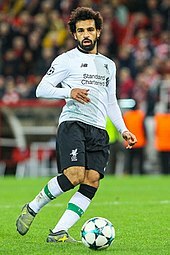 ^ "Salah makes history with EA SPORTS award". Premier League. 13 April 2018. Archived from the original on 13 April 2018. Retrieved 13 April 2018. ^ "Vardy wins March Carling Goal of the Month award". Premier League. 13 April 2018. Archived from the original on 14 April 2018. Retrieved 13 April 2018. ^ "Moore wins April Barclays Manager of the Month". Premier League. 8 May 2018. Archived from the original on 9 May 2018. Retrieved 8 May 2018. ^ "Zaha claims first EA SPORTS Player of the Month award". Premier League. 9 May 2018. Archived from the original on 9 May 2018. Retrieved 9 May 2018. ^ "Eriksen strike wins Carling Goal of the Month". Premier League. 9 May 2018. Archived from the original on 9 May 2018. Retrieved 9 May 2018. ^ a b "Manchester City players dominate PFA team of the year". BBC Sport. Archived from the original on 20 April 2018. Retrieved 18 April 2018. ^ "Guardiola named Barclays Manager of the Season". Premier League. 15 May 2018. Archived from the original on 16 May 2018. Retrieved 16 May 2018. ^ "Salah wins EA SPORTS Player of the Season award". Premier League. 13 May 2018. Archived from the original on 13 May 2018. Retrieved 13 May 2018. ^ "Boufal wins Carling Goal of the Season". Premier League. 19 May 2018. Archived from the original on 19 May 2018. Retrieved 19 May 2018. ^ "Mohamed Salah named PFA Player of the Year ahead of Kevin De Bruyne as Liverpool star beats Man City rival to prize". The Sun. 22 April 2018. Archived from the original on 23 April 2018. Retrieved 22 April 2018. ^ "PFA Player of the Year 2017–18: Liverpool's Mohamed Salah wins top award". BBC Sport. 22 April 2018. Archived from the original on 23 April 2018. Retrieved 22 April 2018. ^ "Salah named FWA Footballer of the Year". Liverpool Official Site. 1 May 2018. Archived from the original on 1 May 2018. Retrieved 1 May 2018.